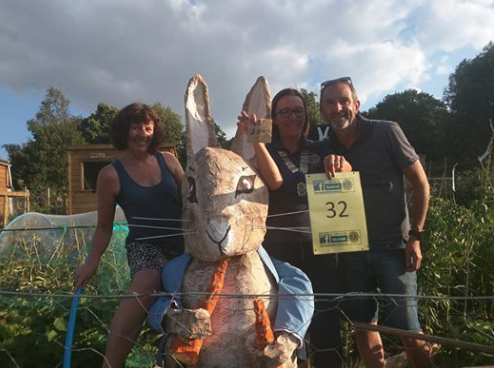 The Denby Dale District Lions held their third annual scarecrow festival this month, and despite the World Cup, Wimbledon finals, and (very) hot weather, the turnout was fantastic. There were 49 scarecrow entries this year, an increase on past years’ numbers, and an incredible estimated amount of £1500 generated for both the Yorkshire Air Ambulance and The Denby Dale Centre. The whole village came together in celebration for this event. Butcher Residential were the festival’s main sponsor for the third year running, The White Hart opened its doors (and kitchen) to the hustle and bustle of the festival, there were Morris dancers, live music, tractors at the Pie Hall, tea, coffee and cakes at the Methodist Church and Holy Trinity Church, and let’s not forget the Pimms at the Mill Shop! All in all another great year for a great cause, we can’t wait to do it all over again!